Employment & Volunteer Opportunities Available! We’re always looking for friendly, enthusiastic people to work on our team to assist guests, answer questions, and be willing to do whatever it takes. Our team members are focused on providing exceptional service to our guests. Are you a team player? The Fraze Team is a family and we work closely with each other; we all depend on each other and support each other. Do you pay attention to little things? It’s the thoughtful little touches that make our venue so special. Fun little extras go a long way and make your job worth the effort. Are you patient and eager to help people? We expect team members to take a friendly attitude towards guests – to smile, greet them, thank them and make them feel welcome. Are you available on evenings and weekends? Evenings and weekends are key times for our events and concerts. It is critical to our continued success that our team members be flexible and comfortable working a variety of shifts, including evenings and weekends. Thank you for your interest in employment opportunities at Fraze Pavilion. The Fraze Pavilion summer concert season runs from May through September 2019 and includes approximately 70 total events. Fraze Ticket AgentDaytime availability helpful.Now accepting applications for 2019 season. Sell all tickets to Fraze events from computerized system (will train). Sell artist and Fraze-branded merchandise, including gift certificates. Answer phones and general questions pertaining to the Fraze. Must be able to work, at times, in high-volume, high-activity areas and/or inclement weather. Hours vary depending on event schedule and may go past midnight on major show nights. Fraze Concession TeamNow accepting applications for 2019 season. Sells and serves complete line of food and beverage items to concert and/or event-goers. Assists in restocking of product at all selling locations. Sets up, tears down and cleans area and machines required. Hours vary by event—generally 5 pm to midnight on major show nights. Helps in venue clean-up after events. Fraze Concession RunnersNow accepting applications for 2019 season. Fraze Front-of-House TeamNow accepting applications for 2019 season. Greets guests entering facility and tears tickets, provides wristbands and passes out program information. Ushers guide guests to correct seating locations. Helps ensure orderly flow of guests in and out of designated entrance/exit areas throughout the facility during events. Provides polite, professional assistance to the general public and all persons associated with the event. Helps in venue clean-up before, during and after events. Hours vary by event–generally 6 pm to midnight on major show nights. Fraze Set up TeamNow accepting applications for 2019 season. Sets up park gates/tents/tables/etc and seating area pre-show, tears down after events. Sets up park ropes, directional signage pre-show, tears down after events. Heavy lifting, moving and standing for long periods of time required. Hours vary by event–generally 1 pm to midnight on major show nights, 8 am on select weekends. You may download an EMPLOYMENT application (Acrobat PDF document) and drop-off at Fraze FanFare inside Town & Country Shopping Center OR mail to Fraze Pavilion, 695 Lincoln Park Boulevard, Kettering, Ohio, 45429. 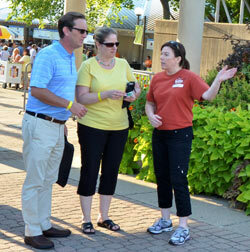 Thank you for your interest in volunteer opportunities at Fraze Pavilion. 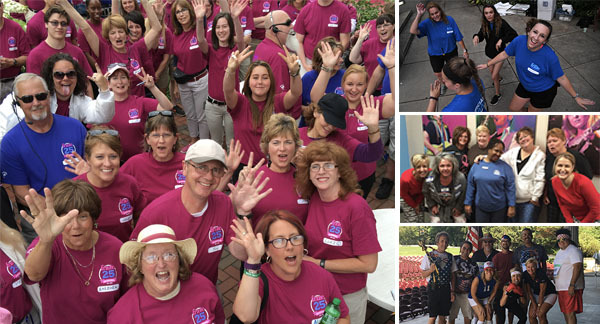 The Fraze Pavilion summer concert season runs from May through September 2019 and includes approximately 70 total events.Now accepting Volunteer applications for 2019 season. Enjoy some of summer’s best music and help your community. Must be available to work 6 to 8 shows, available evenings and weekends, and able to stand for 2 to 3 hours. Hours and times vary by event. You may download an VOLUNTEER application (Acrobat PDF document) and drop-off or mail to the Volunteer Office, City of Kettering, 3600 Shroyer Road, Kettering, Ohio, 45429. Questions? Call the Volunteer Office at (937) 296-2433.